Weathering is a key part of the process of soil formation, and soil is critical to our existence on Earth. In other words, we owe our existence to weathering, and we need to take care of our soil! Many people refer to any loose material on Earth’s surface as soil, but to geologists (and geology students) soil is the material that includes organic matter, lies within the top few tens of centimetres of the surface, and is important in sustaining plant growth. 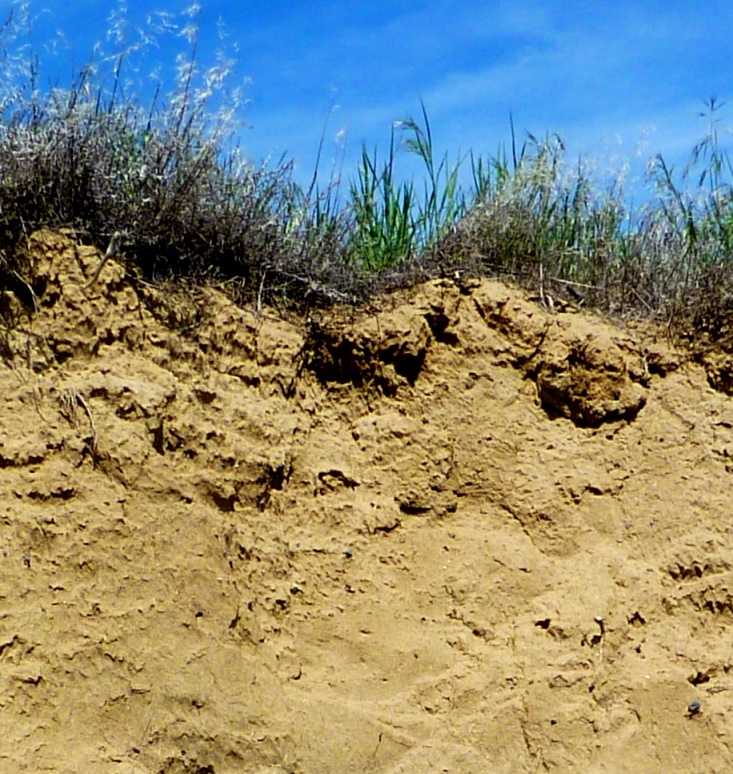 Soil is a complex mixture of minerals (approximately 45%), organic matter (approximately 5%), and empty space (approximately 50%, filled to varying degrees with air and water). The mineral content of soils is variable, but is dominated by clay minerals and quartz, along with minor amounts of feldspar and small fragments of rock. The types of weathering that take place within a region have a major influence on soil composition and texture. For example, in a warm climate, where chemical weathering dominates, soils tend to be richer in clay. 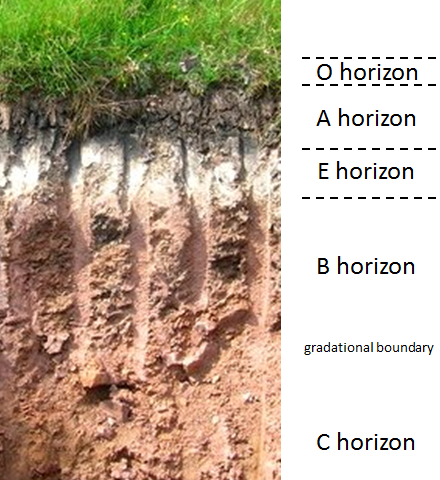 Soil scientists describe soil texture in terms of the relative proportions of sand, silt, and clay, as shown in Figure 5.14. 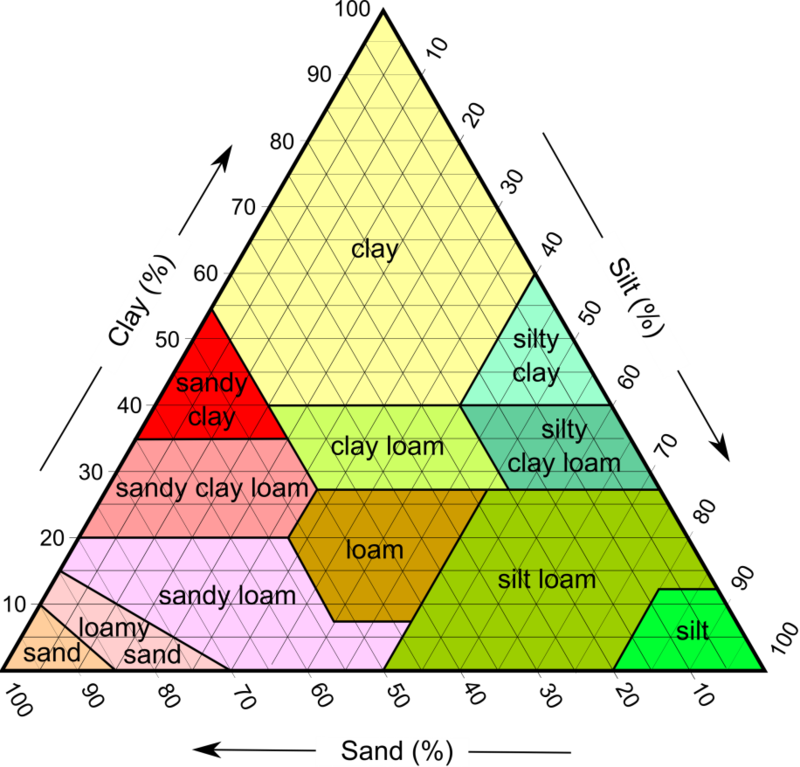 The sand and silt components in this diagram are dominated by quartz, with lesser amounts of feldspar and rock fragments, while the clay component is dominated by the clay minerals. Soils develop because of the weathering of materials on Earth’s surface, including the mechanical breakup of rocks, and the chemical weathering of minerals. Soil development is facilitated by the downward percolation of water. Soil forms most readily under temperate to tropical conditions (not cold) and where precipitation amounts are moderate (not dry, but not too wet). Chemical weathering reactions (especially the formation of clay minerals) and biochemical reactions proceed fastest under warm conditions, and plant growth is enhanced in warm climates. Too much water (e.g., in rainforests) can lead to the leaching of important chemical nutrients and hence to acidic soils. In humid and poorly drained regions, swampy conditions may prevail, producing soil that is dominated by organic matter. Too little water (e.g., in deserts and semi-deserts), results in very limited downward chemical transportation and the accumulation of salts and carbonate minerals (e.g., calcite) from upward-moving water. Soils in dry regions also suffer from a lack of organic material (Figure 5.15). Water erosion is accentuated on sloped surfaces because fast-flowing water obviously has greater eroding power than still water (Figure 5.17). Raindrops can disaggregate exposed soil particles, putting the finer material (e.g., clays) into suspension in the water. 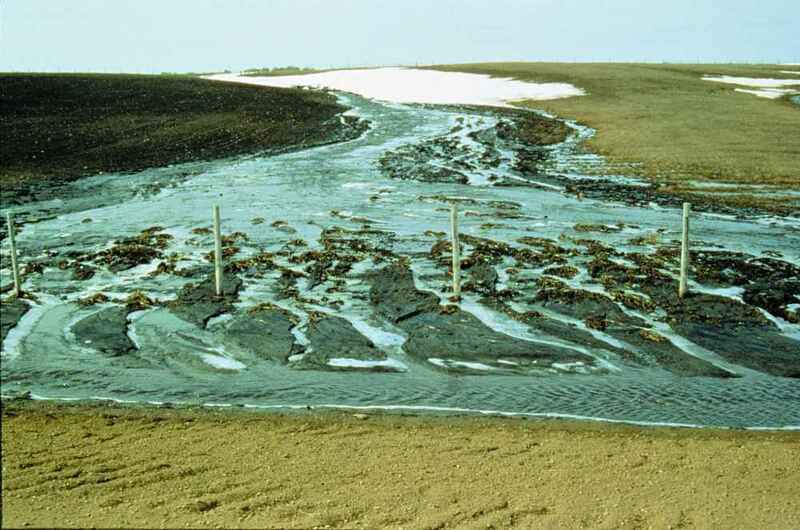 Sheetwash, unchannelled flow across a surface carries suspended material away, and channels erode right through the soil layer, removing both fine and coarse material. 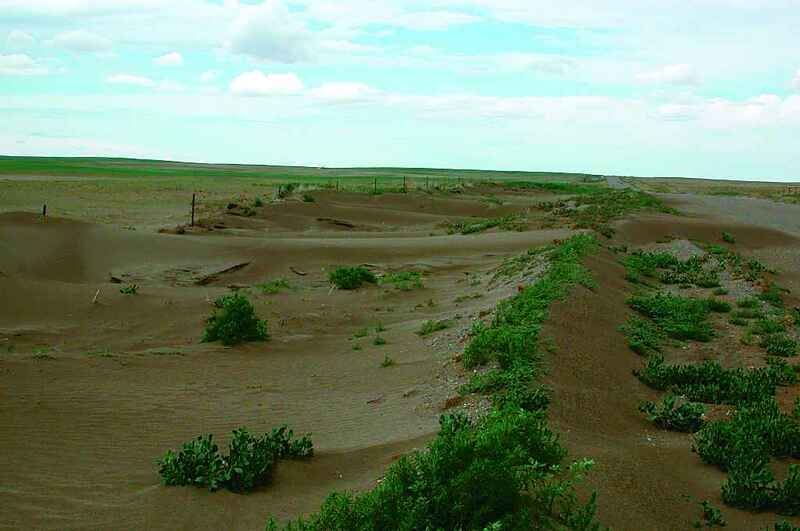 Wind erosion is exacerbated by the removal of trees that act as wind breaks and by agricultural practices that leave bare soil exposed (Figure 5.18). 5.4 Weathering and the Formation of Soil by Steven Earle is licensed under a Creative Commons Attribution 4.0 International License, except where otherwise noted.